Businesses cannot take the chance without proper security protection and well-lit areas at entry points to prevent unauthorized intruders. 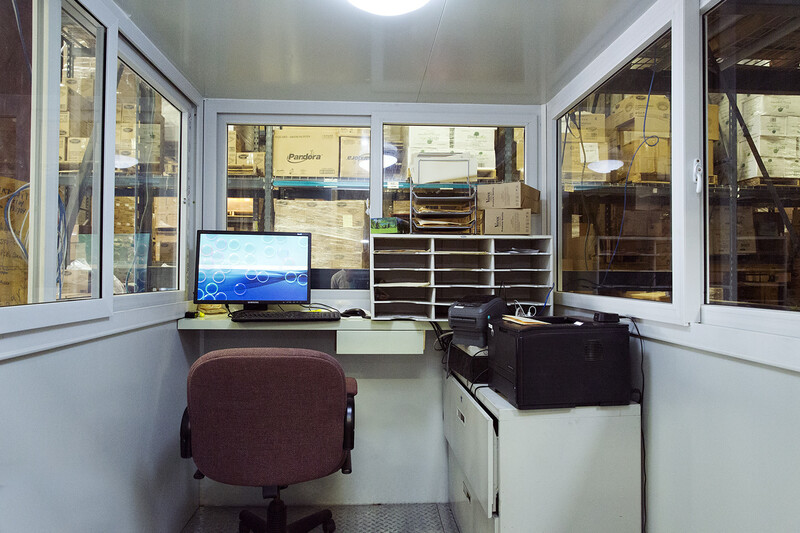 Security guard booths are essential for mitigating risk and keeping your business safe. Purchasing a Guardian Booth is one of the best investments you can make for your business. Securing the perimeter is an important part of workplace security. Meeting the needs of your facility, our security booths can be customized for your specific needs. Guardian Booth offers pre-fabricated sturdy weather resistant booths available with heating and air conditioning. Guardian Booth is a manufacturer of superior quality security guard booths at affordable pricing. Our security booths offer custom designs that fit in with your architectural needs. We can install any type of booth in any type of corporate facility, parking structure, gas station, theme park, concert venue, constructions site, and municipalities. Got one of these? Yes, you do! That’s why you need Guardian Booth. 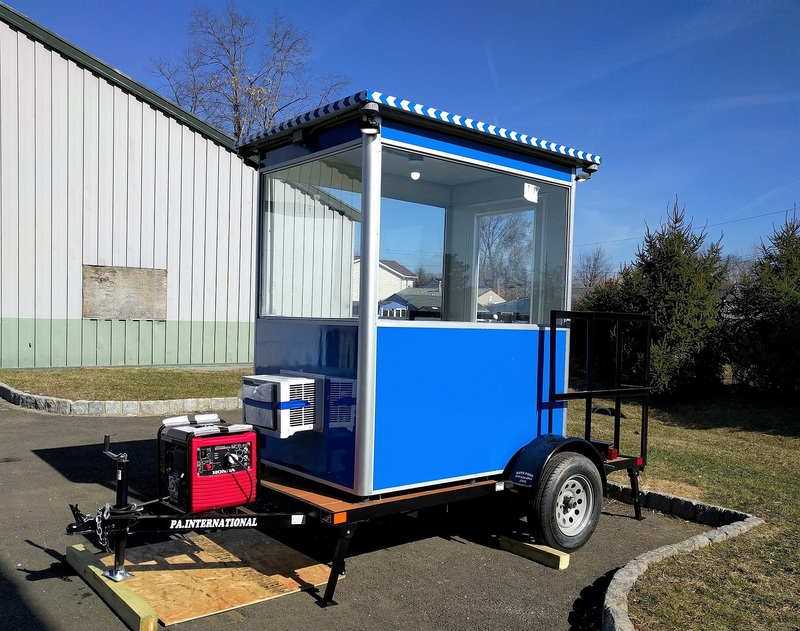 Meeting the needs of your facility, our security guard shacks, information, and ticket booths can be customized for your specific needs. Guardian Booth offers pre-fabricated sturdy weather resistant booths available with heating and air conditioning. Having a security guard booth at your entrance gate makes customers and employees feel safe. Having a security guard at your place of business working in a security guard shack prohibits unauthorized visitors from entering the premises. 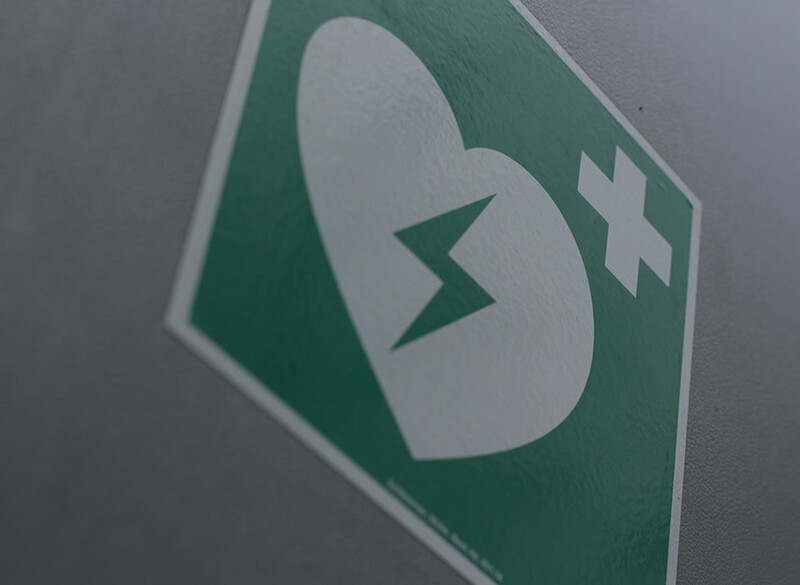 In case of an emergency, the guard at the security booth can be the first point of contact, and your employees will know where to go for help. For ticket sales, you need a secure booth to take cash and dispense tickets for your venue. Construction site safety is your top priority. Entry and exit points need to be clearly marked keeping your workers safe- preventing occupational hazards. Having a security employee prevents people from sneaking in your entrance without a ticket preventing a loss of revenue. You need a secure environment for your employees to handle cash at an entrance for parking or ticket sales. You don’t want unauthorized cars in your parking lot. You certainly will not want to waste time towing cars. 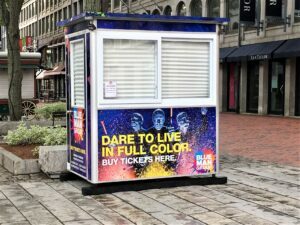 You need a clearly visible guard booth directing your customers to your valet, preventing traffic backup, and the ability to move cars efficiently. You need a portable workstation at your construction site that accommodates Wi-Fi and air conditioning. Gas stations security booths offer the first point of contact for customers. You will need a cashier drawer and a credit card scanner in a secured area for selling merchandise and dispensing cash. Manufactured with a 360- degree view vantage point allows your employees the ability to monitor the entire premise around them. Mirrored and tinted windows allow security guards to be shielded from the sun’s blinding rays, offering clear visibility no matter where the sun is in the daytime. Shatter- resistant booths provide the highest protection in case of a threat. Guardian Booths are built with two layers of durable aluminum and filled with weather-resistant insulation. Air conditioning and baseboard heaters offer comfort and safety among extreme weather conditions. We offer a built in restroom letting employees feel comfortable reducing breaks away from the guard shack. Guardian Booth can mount high tech add-on features. We can install illuminated LED swiveling spotlights on our guard booths to increase visibility past the guard gate, and bring increased visibility to the guard house location after dusk, and before dawn. Your security booth will need security equipment. When your booth is equipped with the right supplies your employees will be able to do their job more efficiently. Every security booth should be equipped with the following items. Security Uniforms- Quartermaster sells a wide range of comfortable security uniforms with shirts, hats, jackets, and emblems, they got you covered. Visit their selection at Quarter Masters. Batons- Security guards need to be equipped with equipment for defense in case of an intrusion of some kind. Batons complement security officers that do not carry a gun. They can be used to bring down a perpetrator in the line of defense. They also can prevent the use of an armed guard having to use a gun as the only weapon. Visit Galls for a wide selection of batons. Handheld Radio Scanner- It’s important for security to hear of incidents in the area that can alert them to potential criminals coming to their area. Handheld radio scanners can be purchased at QuaterMaster, The Uniden Bearcat BC355C Scanner is a user-friendly choice. Beam Barriers- Barriers to entry should be crash tested. You can purchase them at Ameristar Perimeter Security. Consider a rising beam barrier bar that significantly improves perimeter entry security before a security gate. Ticket Booth-Your Guardian ticket booth is the first thing your customers see upon entering your facility. You can purchase a portable booth if you move from venue to venue. Guardian Booths have multiple windows, making it easy for more than one employee to hand out tickets, reducing wait times for customers. Ticket booth supplies are needed for operational efficiency. Desktop Ticket Printer-Stimare manufactures desktop ticket printers. The STIMA SML is great for limited spaces and their product line ranges from small ticket printers to larger systems. They are ideal for every ticket booth used for events, and parking stations. They spit out one ticket at a time or multiple tickets for larger parties. Visit Stimare for more information. Locking Drop Box -Handling lots of cash you will need to buy a locking drop box to keep cash locked and hidden. You can purchase a DuraBox Through-The-Door Locking Drop Box (D500) on Amazon. Tickets and Receipts -Stay organized and reduce clutter with tickets and receipts. Deluxe brand makes Carbonless Forms. Visit deluxe. Seating – Buy a swivel stool for your employee that offers full 360-degree swivel capability. It is more comfortable to sit if the shift hour is a long one. You can purchase a chair for your booth. Buy the Safco Lab Stool w/ Polyurethane Seat/Back Seat Height 17″ to 22″) at BTOD. Bollards- Bollards are used to alert people where to enter and where not to enter. They can be placed anywhere and are portable. They can also be permanently installed. Bollards are very useful when you have multiple booths installed at your location and have multiple lines. They can also block off parking access to cars driving up to a booth to alert to a no parking zone or to prevent pedestrians from entering a certain area. Visit Calpipe Bollards for a large selection of high-security bollards. Information booths provide a marketing aspect for visitors. They can house a security guard or customer service employee who is trained about all the information about your venue or event. Information booths will have brochures, maps, and information about your business that is handed out. Staying neat and organized lets you hand out information to your customers quickly. Wraps and Branding -Logo Designed Booths are a must to clearly mark the visitor’s booth. You can visit skyline, they are specialists at event marketing and branding for display. Many gas stations do not have convenience stores, therefore a gas station attendant booth is a requirement for receiving and dispensing cash. The booth will also serve as a safety area for employees working near pumps, and customizable security equipment can be installed. Cash Registers– Merchant Account Solutions specialize in cash registers for gas station booths for processing payments and keeping cash secure. 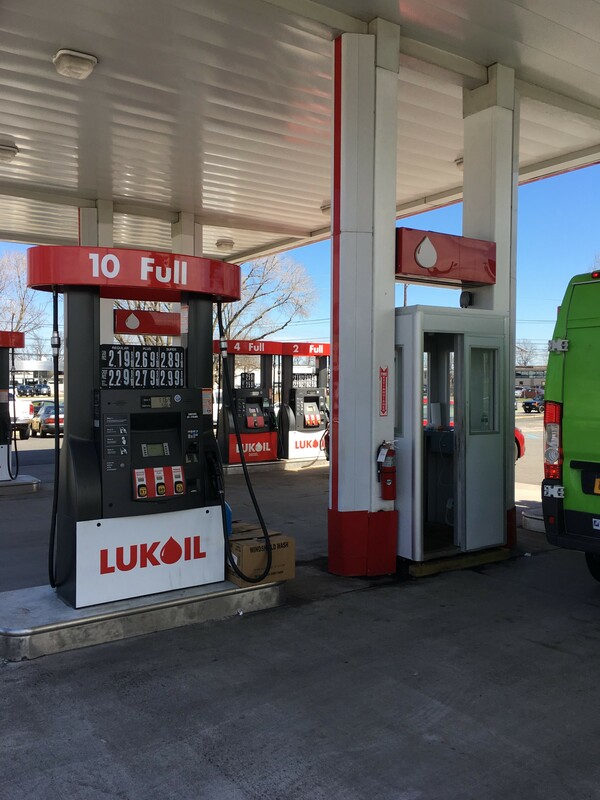 Their supersystem’s ability works with every major petroleum pump dispenser brand. Visit Merchant Account Solution for the Ruby SuperSystem. Automotive Accessories- Products your customers need like snacks, beverages, motor oil, antifreeze, and windshield wipers will help increase revenue. For wholesale motor oil look visit Wholesale Motor Oil . The ANCO brand is a leader in replacement wiper blades, refills, washer pumps and wiper arms. Buy them at Auto Barn . The website carries full line auto accessories such as anti-freeze and coolant. Portable workstations for your office offer convenience and flexibility because they are moveable to different locations within your worksite. They are built with full electric hookup for computers, phone lines, and printers, and have a built-in desk and drawer. You can purchase supplies at the reputable websites below. Portable Scanners- They are really handy and allow you can transfer information back to your main office site. The TaoTronics Handheld Mobile Portable Document scanner 1050 DPI can be found on Amazon. Two Way Radios- Portable offices may be a mile or more from employees on the job site. Motorola makes the Motorola Talkabout 23-Mile 2-Way Radio is convenient accessories without having to worry about cell phone reception in remote areas. Buy one at Big Five Sporting Goods Store. Wi-Fi- The necessary choice for your portable office computer system. Supports up to eight devices, Check out FreedomPop UMX-MXL655FPBK Unimax MXL 655 4G LTE Mobile Hotspot at Staples. Portable cashier stations are your first point of collecting revenue. Guardian Booth offers secure stations that have the ability to house all the accessories for your business to operate efficiently. Additional supplies this type of booth is recommended to purchase. We know that choosing security guard gated booths are one of the most important decisions to make your location secure and safe. You’ve made the right choice by choosing a company that cares about its customers. Whether it is anti- ram fencing, industrial fencing supplies, security camera system, or any other type of supplies, we will guide you all the way through from start to finish. 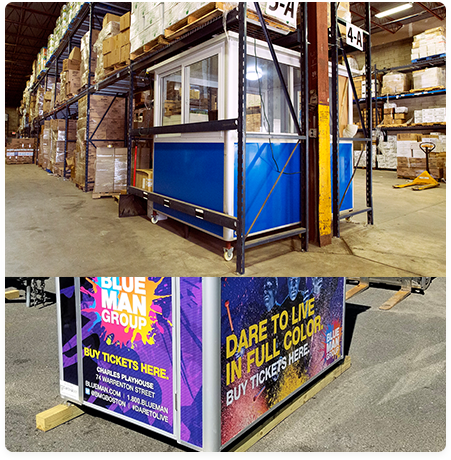 Give us a call at 844-99-BOOTH today to get a free quote for your Pre-Fab Guardian Booth customized just for your business. Or email us here to get a reply today.